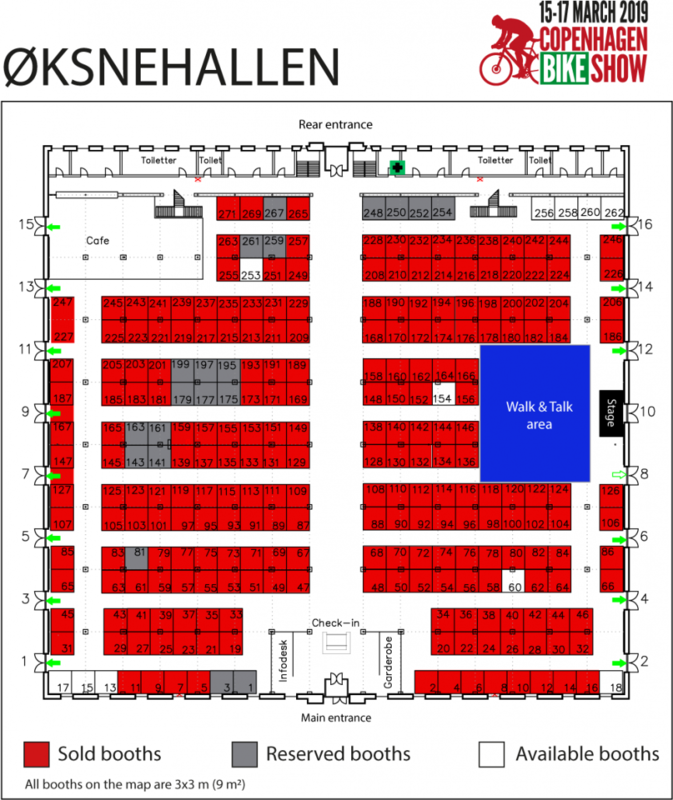 On the map beneath you can see the available stands of Copenhagen Bike Show 2019. The beautiful style of Øksnehallen will form the perfect setting for the show, which – for the past four years – has been located at Lokomotivværkstedet. The location only 100 meters from Copenhagen central train station is very convenient. Whether a visitor arrives as a pedestrian, by bike, train, bus or car it is very easy to get there. During the past years the number of Swedish visitors has increased steadily, and due to the new location their attendance will increase even more. 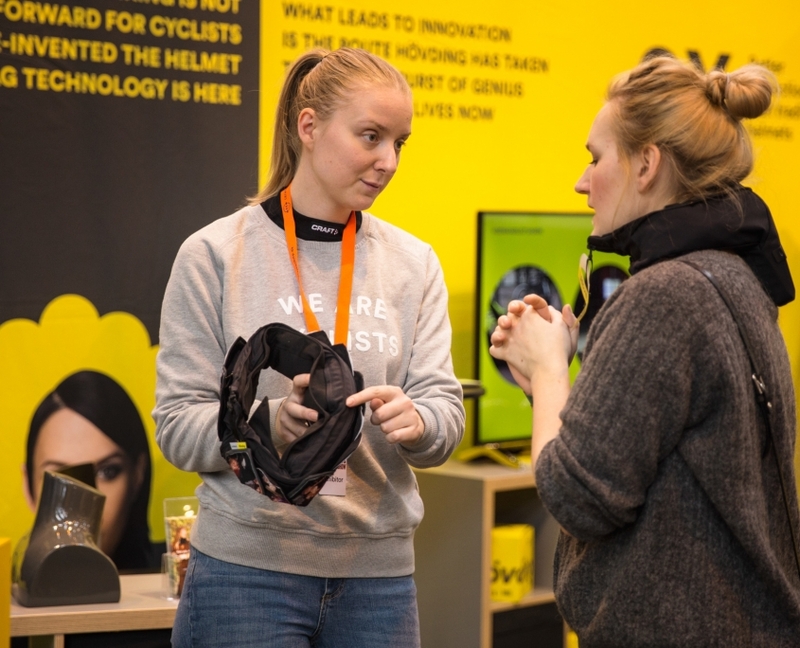 The high share of Swedish visitors is – of course – to the benefit of the exhibitors, because they can reach target segments on the Swedish bicycle market too. NB! The map below might not reflect the actual status of all booths, so please contact us for further information. Ready to booking your stand ?